(Natural News) As complementary and alternative medicine gain greater popularity, an increasing number of prestigious hospitals in the U.S. are now offering these treatments. The services offered by these renowned health facilities include staples such as yoga, acupuncture, and massage therapy, as well less-known treatments like biofeedback, guided imagery, and reiki. All the 15 most prestigious hospitals in the U.S. — which include the Johns Hopkins, Mayo Clinic, UCLA Medical Center, and Yale, among others — currently offer yoga and acupuncture services, while only 13 hospitals offer massage therapy. Traditional Chinese herbal therapy was offered in eight hospitals including the University of Pittsburgh Medical Center and the Cleveland Clinic. Only the UF Health Shands Hospital and the Cleveland Clinic currently offer homeopathic medicine. In addition, only two hospitals provided aromatherapy sessions to patients. Hypnotherapy, also an increasingly popular alternative treatment, was already available in four bigger hospitals such as Johns Hopkins and the Massachusetts General Hospital. Art therapy, which uses creative processes to improve health, is practiced in seven of the top 15 U.S. hospitals including the Duke, Georgetown Medstar, MD Anderson, and Penn Medicine. Biofeedback, a non-drug treatment that helps patients control certain involuntary bodily processes such as heart rate and muscle tension, is available in only three facilities, including the UCSF Medical Center, the University of Pittsburgh Medical Center, and the Massachusetts General Hospital. Only six of the top 15 medical facilities in the U.S. offer reiki therapy. Unlike the massage therapy’s vigorous nature, reiki massage uses only touch to increase energy flow in the body. The Johns Hopkins, Mayo Clinic, and Penn Medicine were among the few facilities that offer reiki treatment. Another form of mind-body treatment called guided imagery was offered in four hospitals. Guided imagery proactively uses a patient’s imagination to improve health, and was shown to reduce blood loss, ease headaches and facilitate weight loss. Mayo Clinic and the Cleveland Clinic were among the facilities that offer guided imagery. Data from the U.S. National Center for Complementary and Integrative Health (NCCIH) reveals that Americans spent more than US $30 billion in 2012 on alternative treatments like acupuncture, meditation, and homeopathy. According to the NCCIH statistics, Americans spend as much as $14.7 billion a year on appointments with complementary care practitioners such as yoga instructors, chiropractors, massage therapists, and acupuncturists. This equates to 30 percent of what people pay for traditional medical services. The report also shows that the overall spending on complementary medicine accounted for more than 9 percent of out-of-pocket healthcare expenses in the U.S.
People with lower incomes also appear to spend on complementary medicine, according to the National Health Statistics Report. Researchers find that families earning less than US $25,000 per year spent as much as US $314 on complementary medicine. Conversely, families earning more than US $100,000 annually spend $518 on average. The report highlights various trends in complementary medicine use. 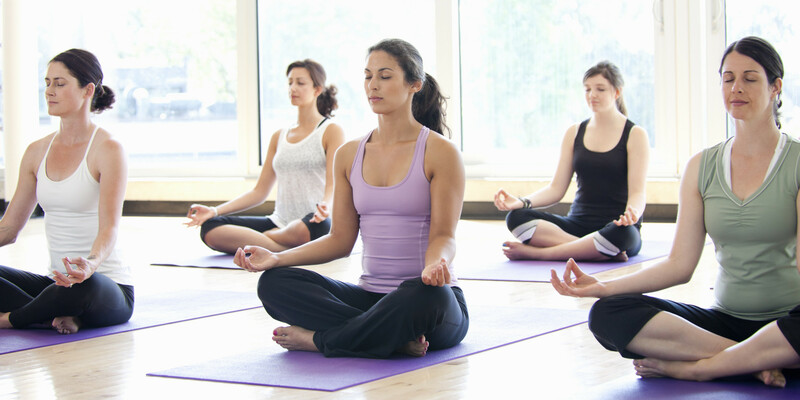 Yoga has increased in popularity among Americans, while chiropractic care and massage therapy remains stable. Stephanie Romanoff, Communications Director for the Academy of Integrative Health & Medicine, said that consumer demands for complementary and alternative medicine prompted more researchers to assess their efficacy, which in turn provided patients with more insight about these treatments. “Integrative medicine is not going to have the same funding as pharmaceuticals do, but because of the consumer demand and increased interest from academia and our national government in integrative medicine and health, there has been an increase in research. And increasingly, there’s more research validating the value of these approaches,” Romanoff said.